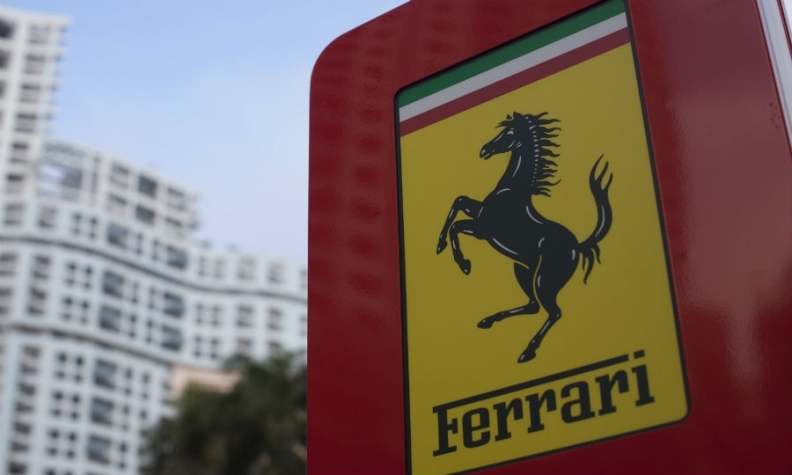 MILAN (Bloomberg) -- Ferrari SpA, the supercar maker being spun off by Fiat Chrysler Automobiles NV, picked UBS Group AG to help manage its initial public offering in New York later this year, people with knowledge of the matter told Bloomberg. JPMorgan Chase & Co. and Goldman Sachs Group Inc. are also due to play a role in selling 10 percent of Ferrari’s shares to investors, said the people, who asked not to be named before an official announcement. Fiat and Ferrari declined to comment, as did representatives for UBS, JPMorgan and Goldman Sachs. Debt-laden Fiat Chrysler is spinning off Ferrari to help fund a 48 billion-euro ($52.5 billion) investment program that focuses on expanding the Jeep, Alfa Romeo and Maserati brands globally. CEO Sergio Marchionne is expecting a valuation of “at least” 10 billion euros for Ferrari, which is equivalent to about 60 percent of the parent company’s market value. Marchionne’s targeted figure is higher than the 8.7 billion-euro average of four analysts surveyed by Bloomberg News. In addition to the IPO, Fiat Chrysler plans to distribute its remaining 80 percent stake in the supercar maker to its own investors, with Ferrari being an independent entity from the beginning of 2016. Piero Ferrari, the son of founder Enzo Ferrari, owns the remaining 10 percent. Ferrari, whose logo features the colors of the Italian flag, plans to list on the New York Stock Exchange and will be organized as a Dutch holding company with its fiscal residence in the U.K., Marchionne said last week. This would mirror the multi-national structure used by Fiat Chrysler. Marchionne said Ferrari’s auto operations will continue to be based at its traditional home in Maranello in northern Italy and pay taxes there. The listing, which was originally targeted for the end of June, was delayed until at least Oct. 13 because of tax issues, Marchionne said last month.